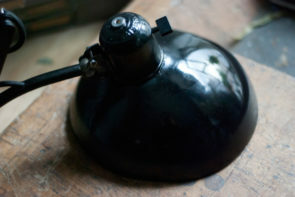 The lamp is in a used partially restored condition. 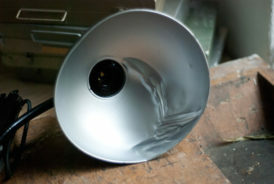 Part of the lamp have a northworthy patina, the shade has dents in the inside. 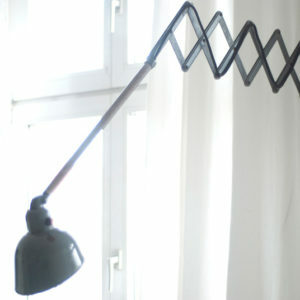 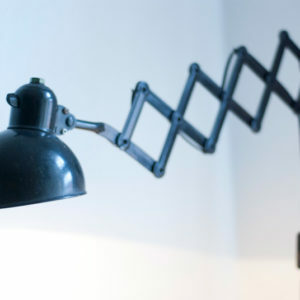 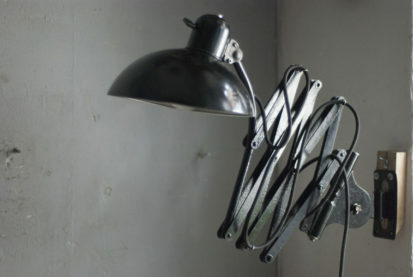 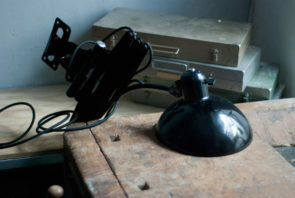 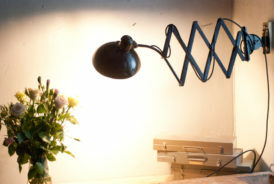 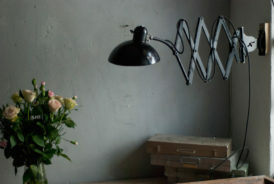 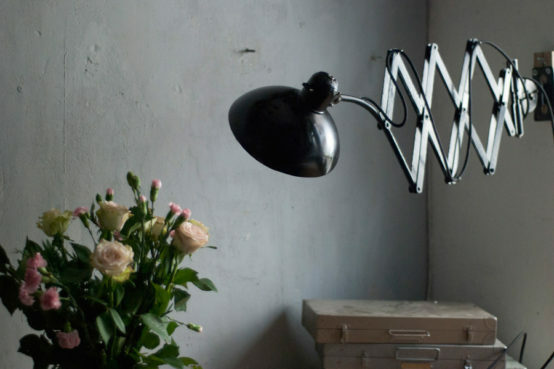 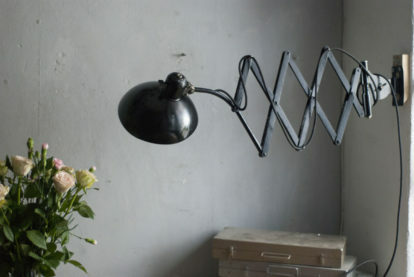 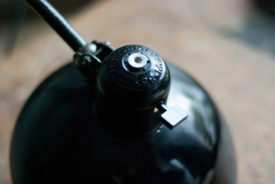 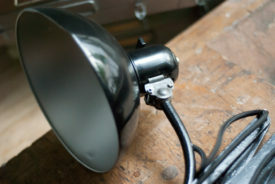 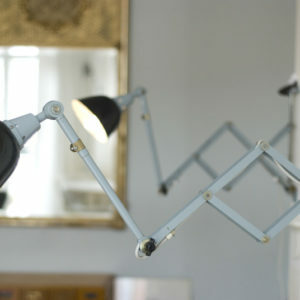 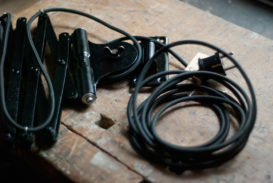 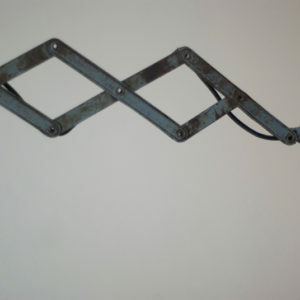 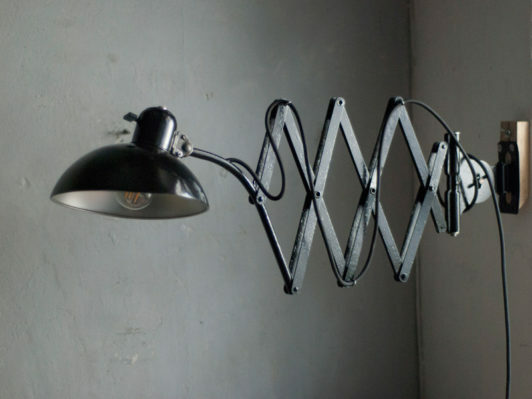 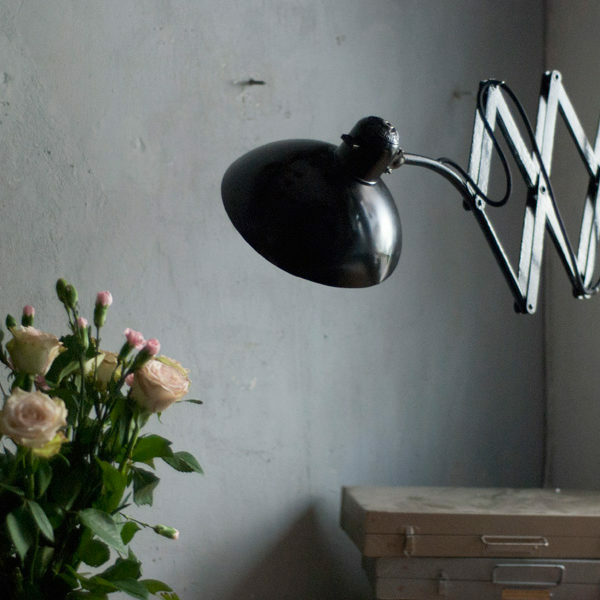 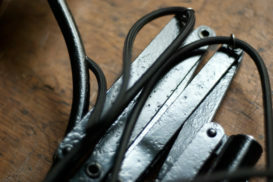 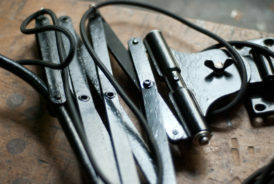 The lamp can be easily attached to the wall with the non original wall-mount bracket and screws.